It’s amazing when you start to think about it! Africa has influenced so much of the fashion world. Hope you can join us for a wonderful day of looking at ‘African influences’! A fundraiser for WHISCA’s Youth Leadership Training Program. 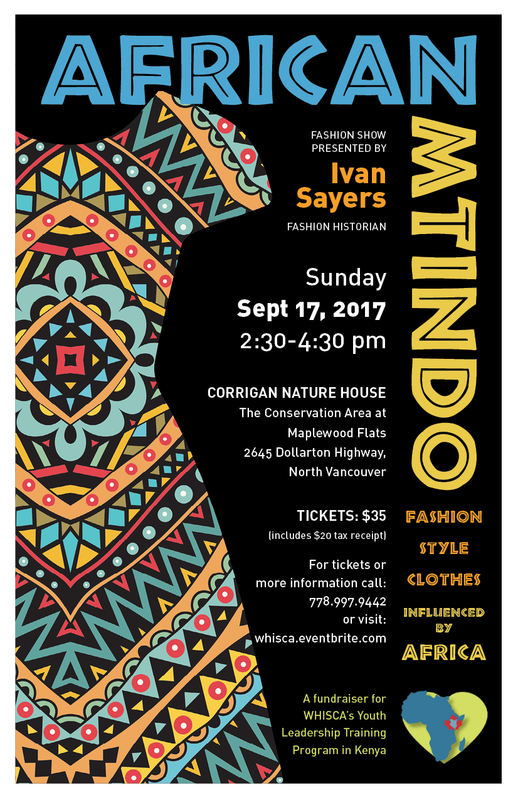 Sunday Sept 17, @ 2:30 Tickets whisca.eventbrite.com or 778-997-9442.